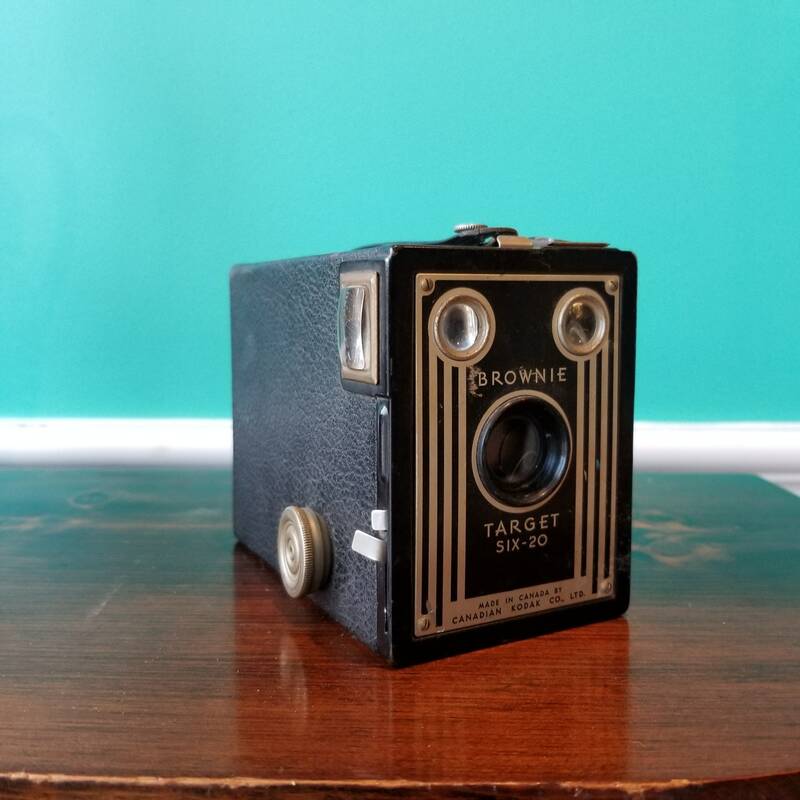 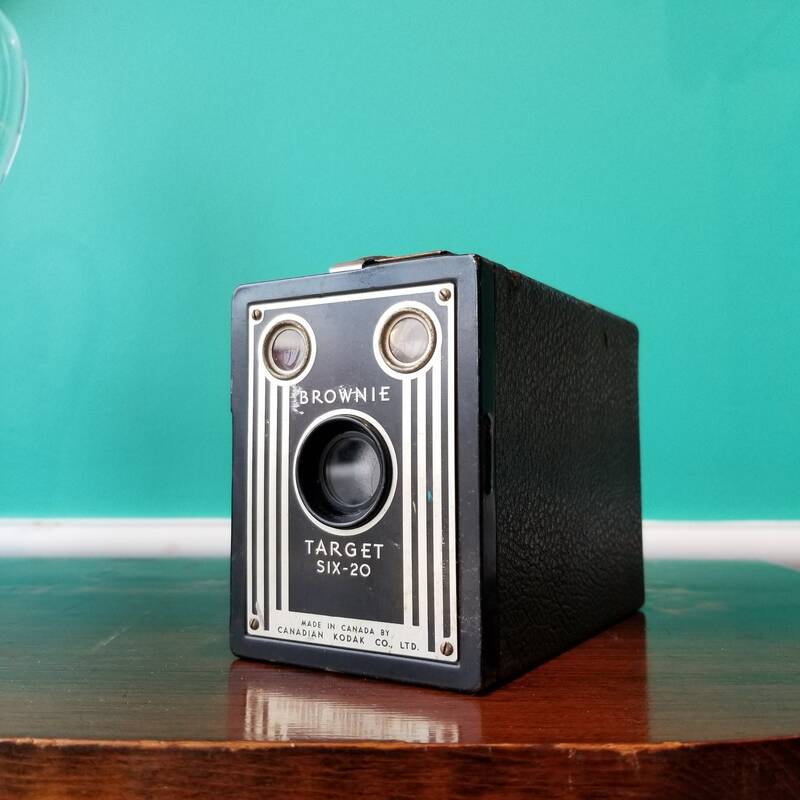 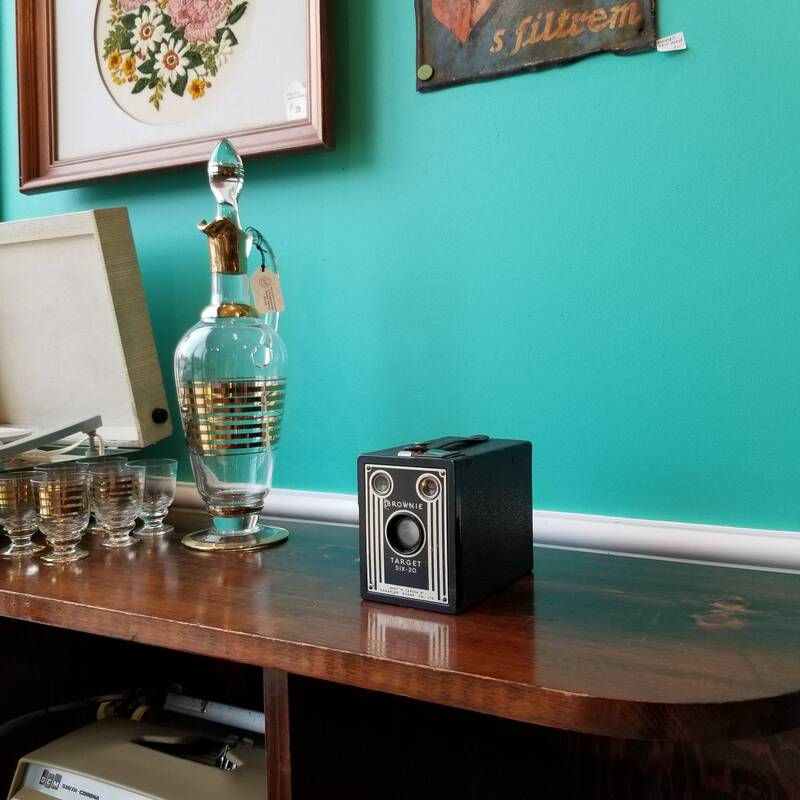 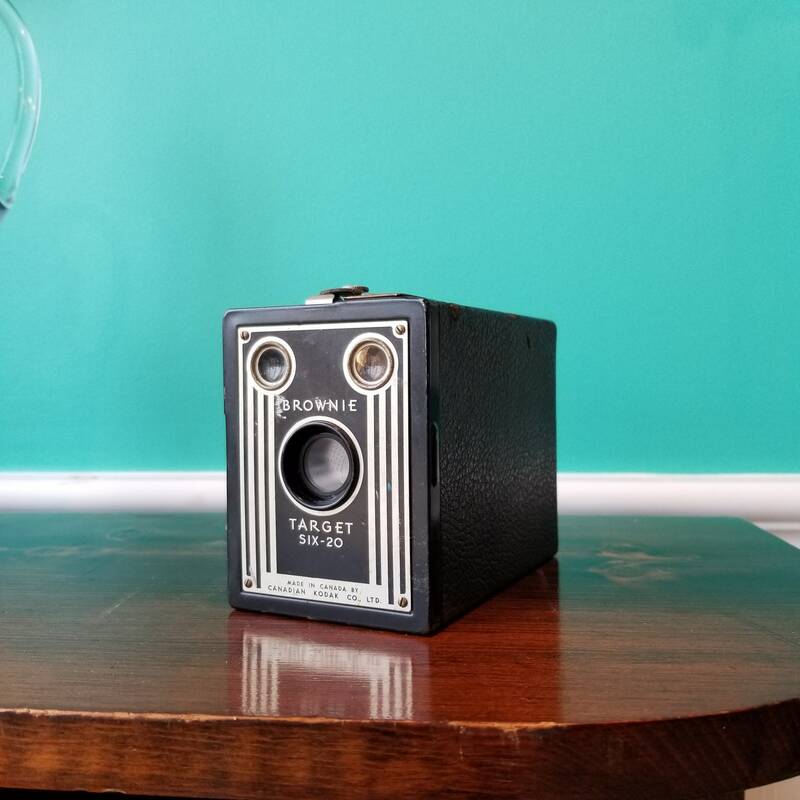 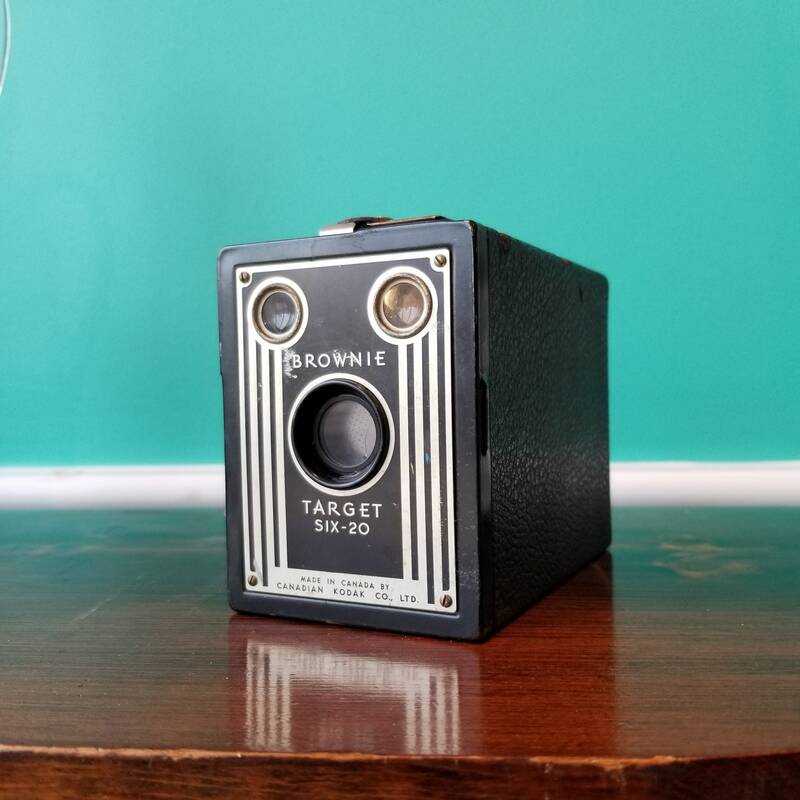 The Brownie Target Six-20 is a metal box type camera with 2 brilliant view finders and the distinctive vertical line art-deco design on front panel. 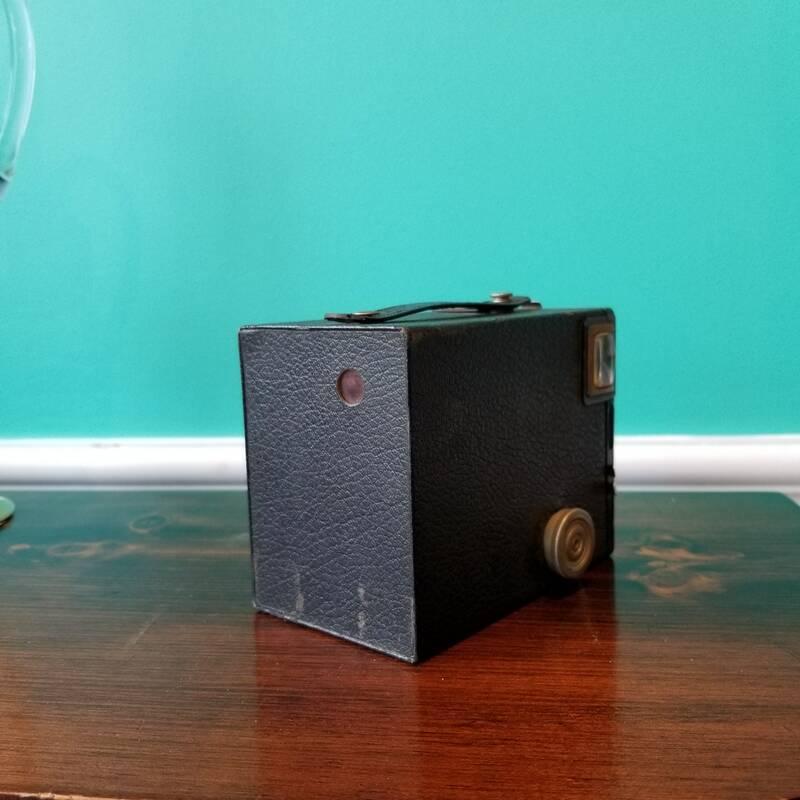 It featured a sliding f/stop tab for a choice of around f/11 or f/16 and a "B" setting tab for time exposures. 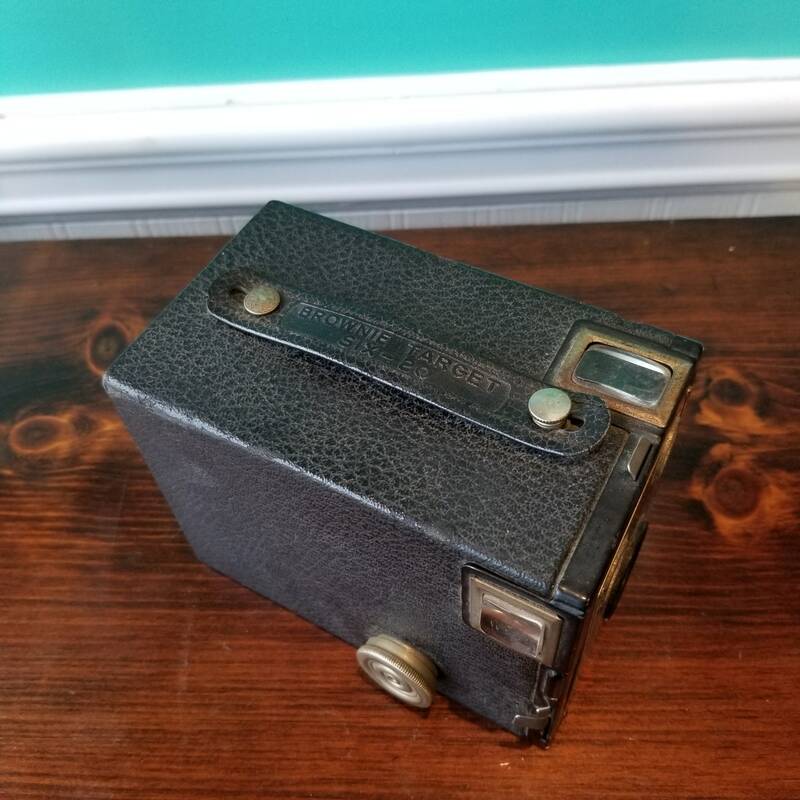 This model was made in the Toronto Eastman Kodak plant which is proudly stated on the front panel.